If you've had enough of remote control cars, maybe it's time for you to conquer the skies. 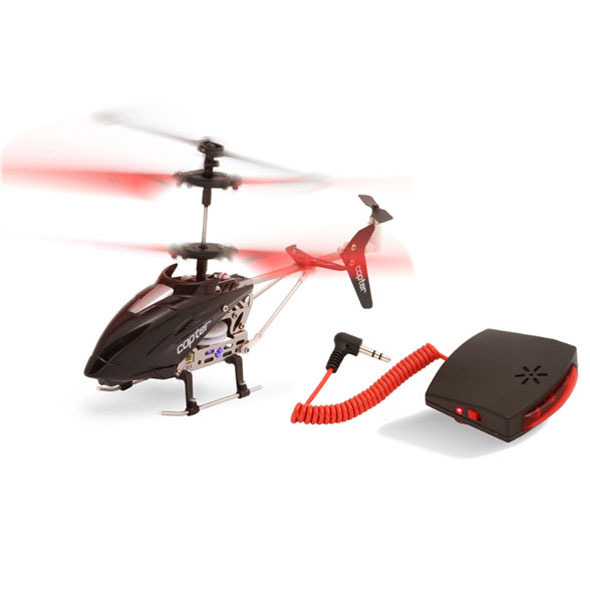 This fantastic remote control helicopter works together with your iPhone or iPod Touch to create the ultimate remote control experience. 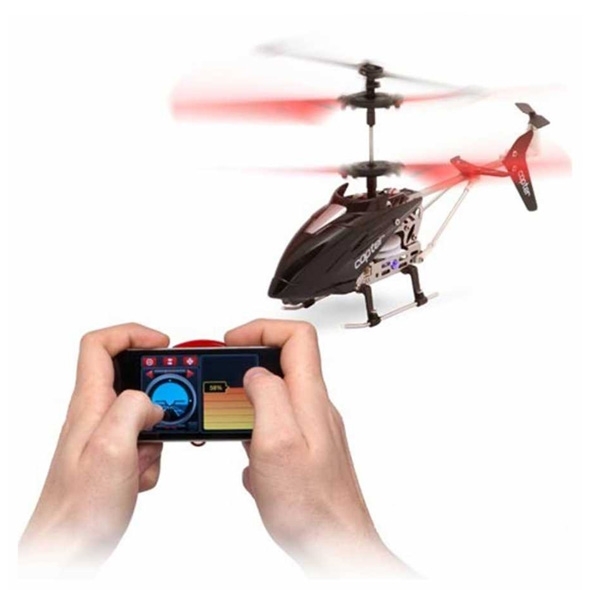 Just download the free app and plug the sensor into your device, and your iPhone will become the control unit for a nippy little remote control helicopter! This brilliant little toy takes iPhone accessories to the next level. A simple app download and a plug-in sensor is all it takes to transform your humble iPhone (or iPod Touch) into the control deck for a wonderfully nippy little RC helicopter! The unit is charged via USB (no batteries necessary! ), and the chopper's highly intuitive controls - up, down, left, right, hover - are backed up by a whopping 8 metre flying range. Remote control toys will never be the same again! 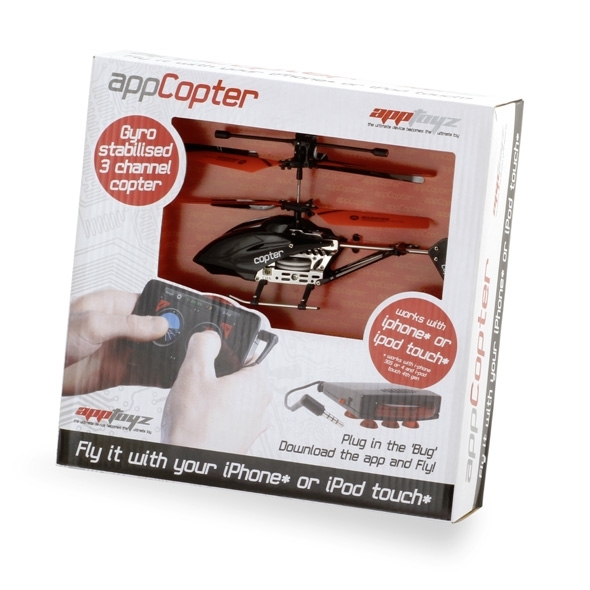 The iPhone RC Helicopter is compatible with iPhone (1 - 4S) and iPod Touch. Really good gadget, had great fun learning to control this helicopter and now I'm pretty good at it. Superb for flying around the office, buzzing your colleagues when they are on the phone!